Railpictures.ca - Paul Santos Photo: Quartet of stored GP40-2/GP40 models including 4652 affectionately known as “Patches”. | Railpictures.ca – Canadian Railway Photography – photographie ferroviaire Canadienne. 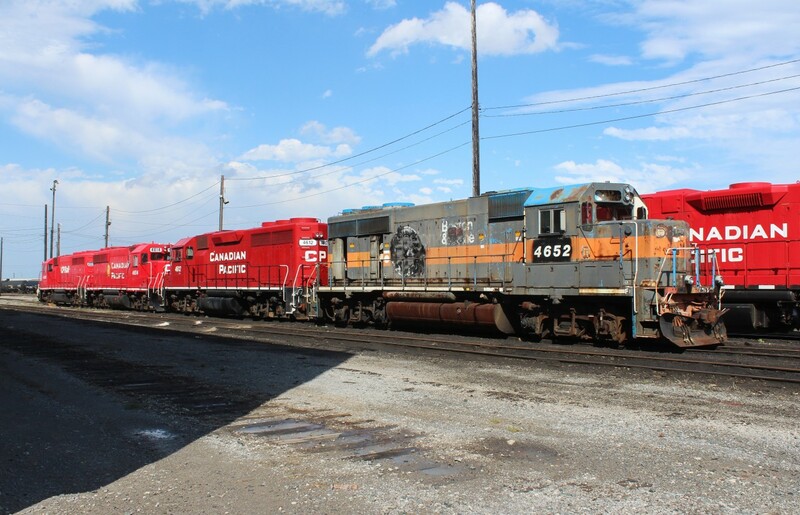 Caption: Quartet of stored GP40-2/GP40 models including 4652 affectionately known as "Patches". They will get picked over for parts. Cannabilize it for parts. Patches is a cute name. Looks like it’s missing a few external parts.